For 25 Lunchboxes or more, we'll bring it to you between 11am-12pm! For orders under 25 Lunchboxes, you'll need to come pick up your order at 11am. 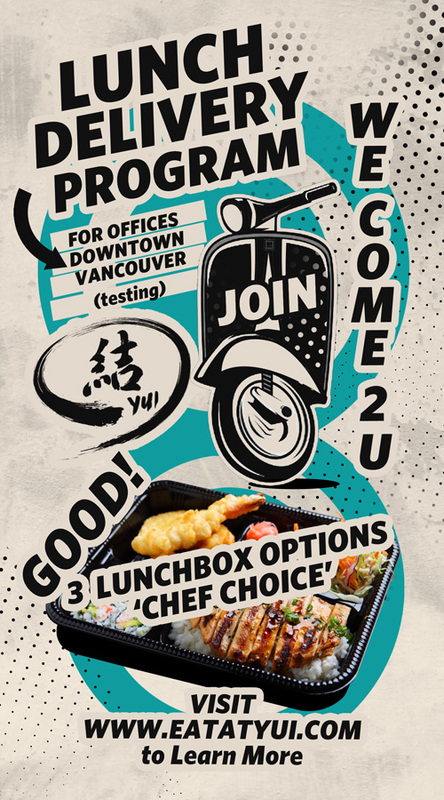 Join our lunch delivery program and be the star of your office! It’s simple, coordinate with your office and let us know what your group wants and we’ll bring it straight to your office the next day. Great for any occasion, meetings, birthdays, office events and just those days where you would rather all stay in. The system is on and we'll only be providing this service to offices in downtown. If you're excited with this news, send us an email to let us know! As we are in our testing phase, we'll be limiting the amount of orders that we take daily to not overload our system. Order online from our website. Select a minimum of 5 lunchboxes from our online lunch delivery program (ldp) menu. All orders made before 2pm are prepared the next day either for delivery or. Pay online to lock in the program.